1982 Childs A.R. 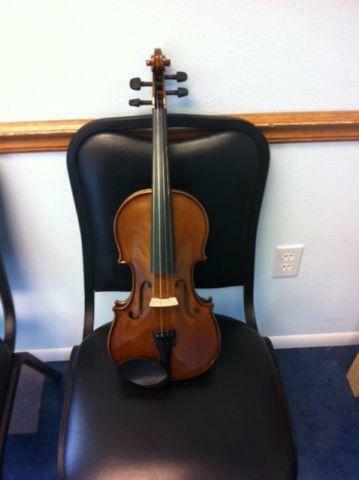 Seidel Violin. Hand made copy of Antonius Stradivarius model V131G. It was last used in the late 1990s. The case and bow are included. CAN BE SEEN AT THE MARKET ANTIQUES, THE RED BUILDING AT THE PEA RIDGE FLEA MARKET, ACROSS HWY 90 FROM LOWES. FOR MORE INFO CALL show contact info TUESDAY-FRIDAY, 9-4, SATURDAY, 830-400, SUNDAY, 1230-4. CLOSED MONDAYS. 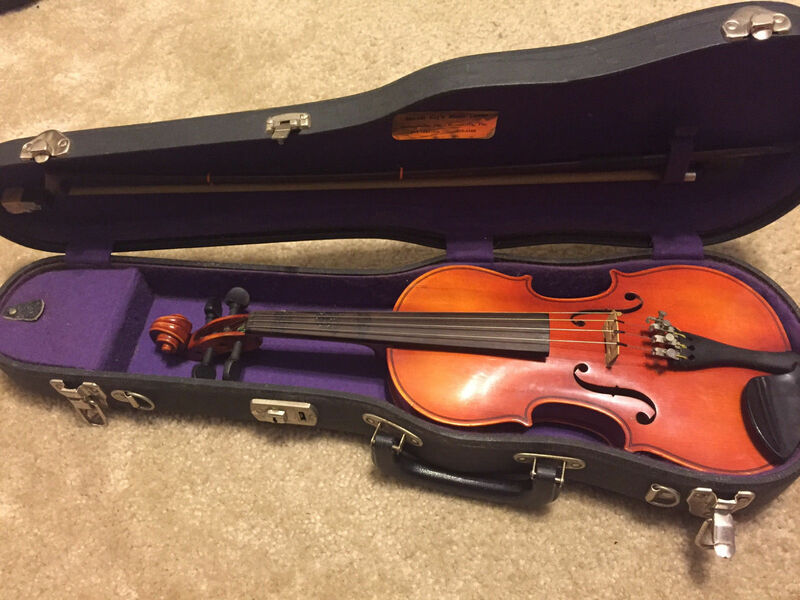 suzuki violin co. see pics for exacts ask all questions to avoid any misunderstandings great condition for its age beautiful piece! Antonius stradivarius cremonensis facie anno 17. In great, playable condition.